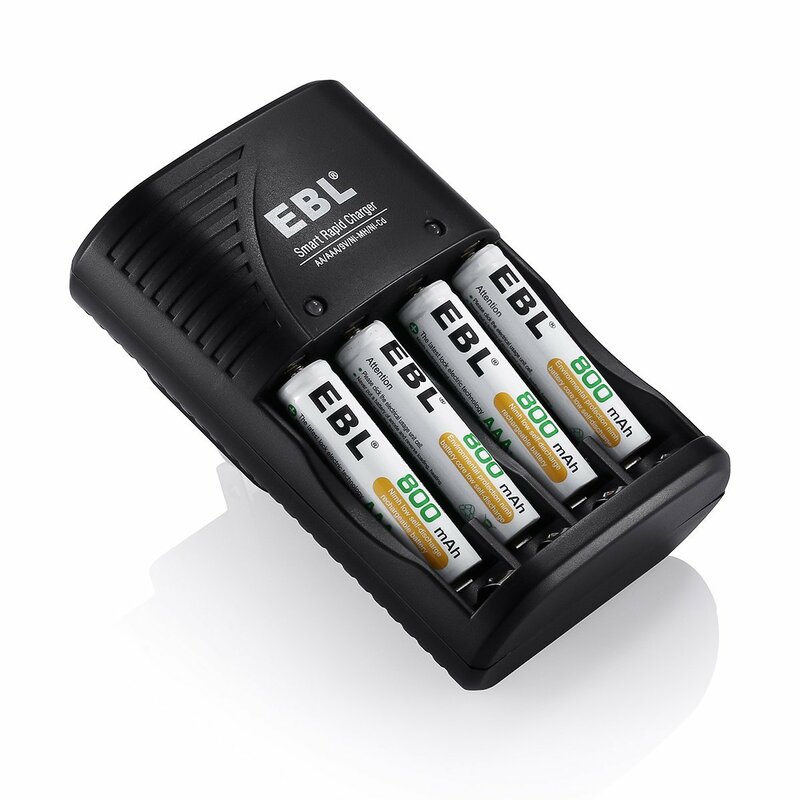 EBL-802 can freely charge 2/4 AA/AAA Ni-MH/Ni-Cd rechargeable batteries, and 1/2 pieces 9V Ni-MH/Ni-Cd rechargeable batteries. 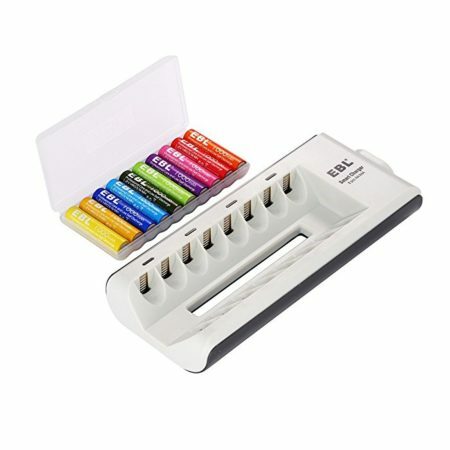 ● Fast charging battery charger – Quick charging IC, power your batteries super fast, makes your life more convenient. 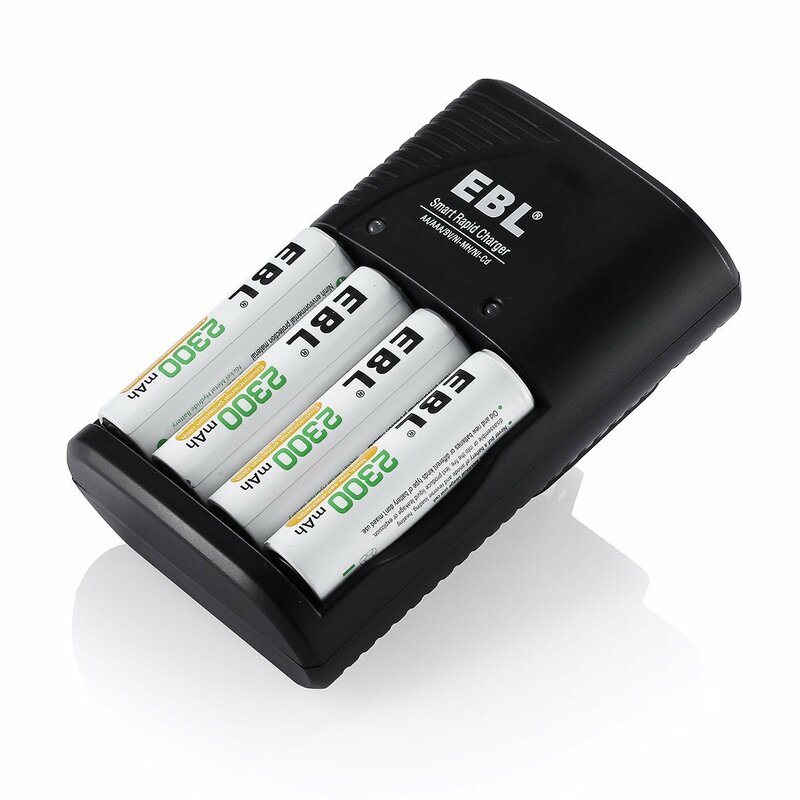 ● [3 in 1] EBL-802 can freely charge 2/4 AA/AAA Ni-MH/Ni-Cd rechargeable batteries, and 1/2 pieces 9V Ni-MH/Ni-Cd rechargeable batteries. 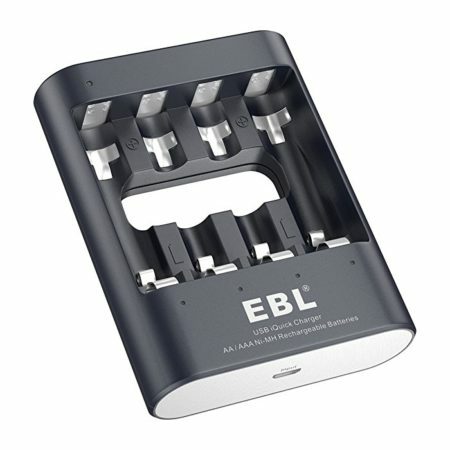 ● Controlled by MCU, EBL’s advanced -△V pulse charging technology protects the charger and batteries. 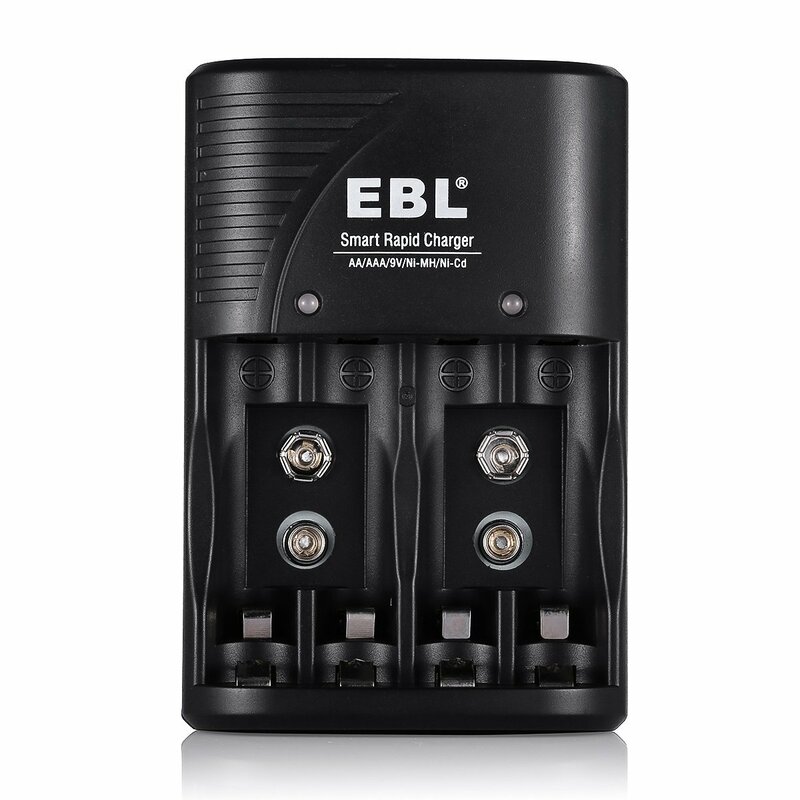 ● Battery detection technology enables the charge to automatically turn to trickle charge when batteries are full charged. 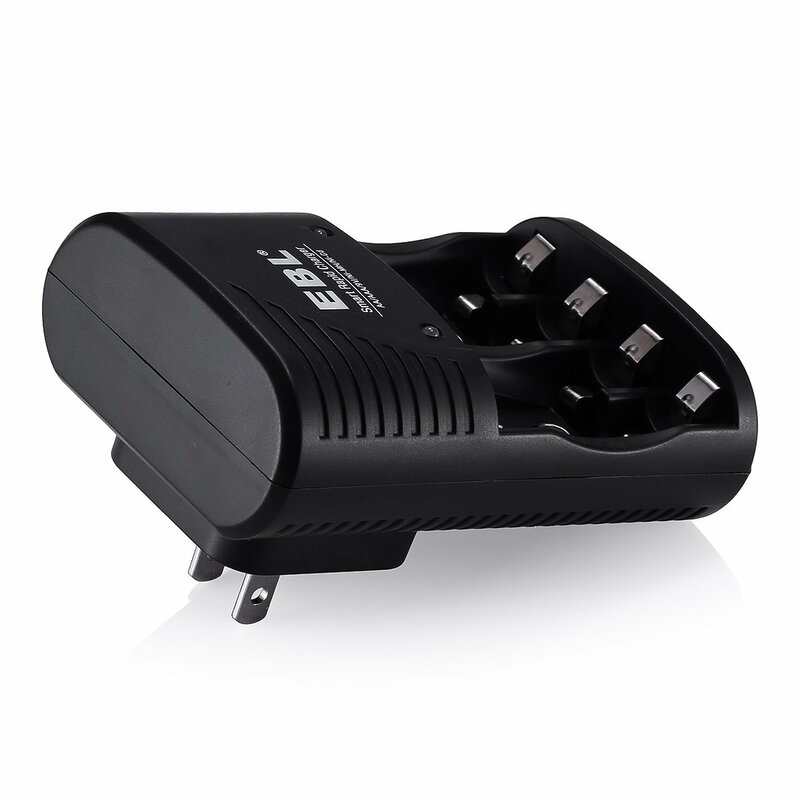 ● Worldwide voltage for 100-240V 50/60Hz adapter input, can be used over all the world. 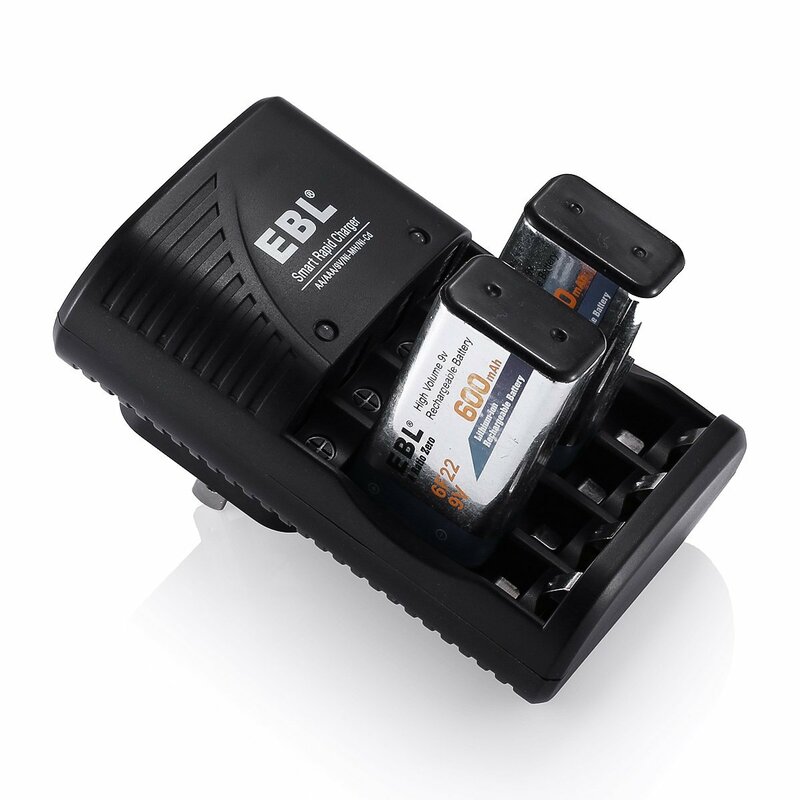 EBL-802 battery charger can charge 2 or 4 AA/AAA Ni-MH/Ni-Cd batteries, and 1 or 2 pieces 9V Ni-MH/Ni-Cd batteries. 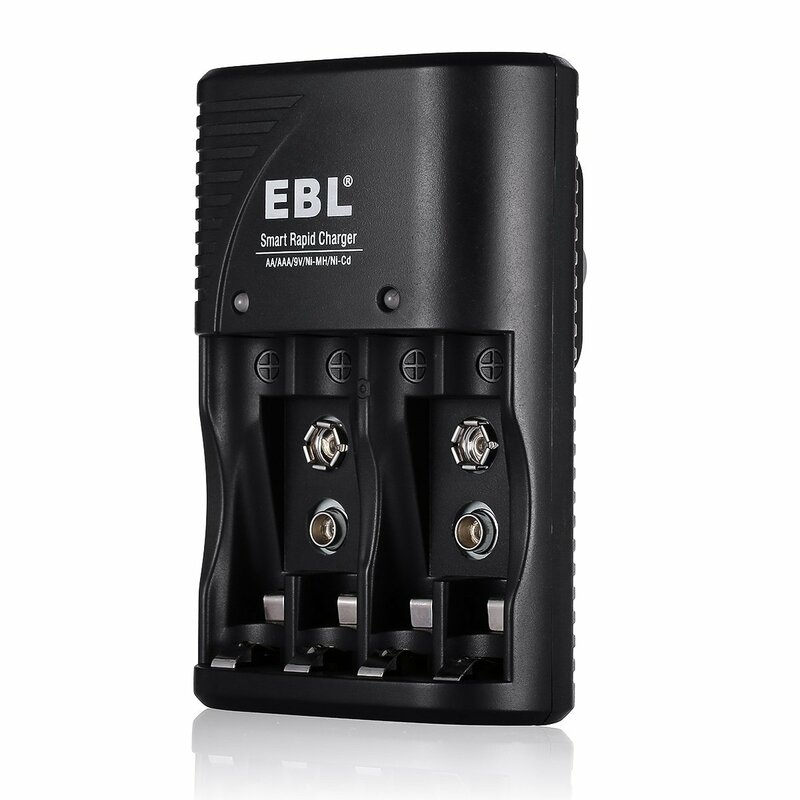 Controlled by MCU, EBL advanced -△V pulse charging technology prevents the charger from over-charge, over-discharge, over-current and over-heat. This universal rechargeable battery charger can be used wroldwide with its global voltage support. 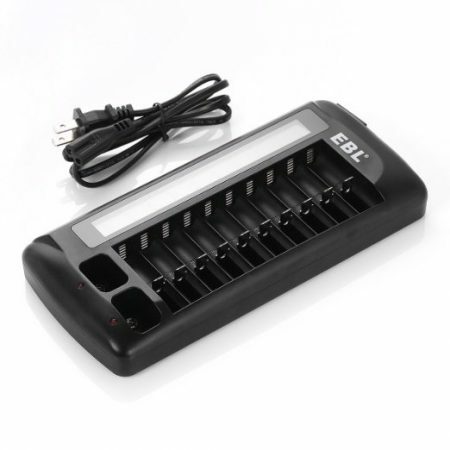 This battery charger is used for AA/AAA Ni-MH/Ni-Cd batteries, and 9V Ni-MH/Ni-Cd batteries. The absolute 0V battery can not be charged. 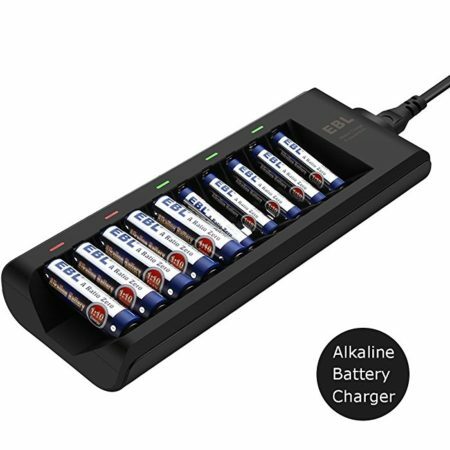 Can not charge alkaline or carbon battery.